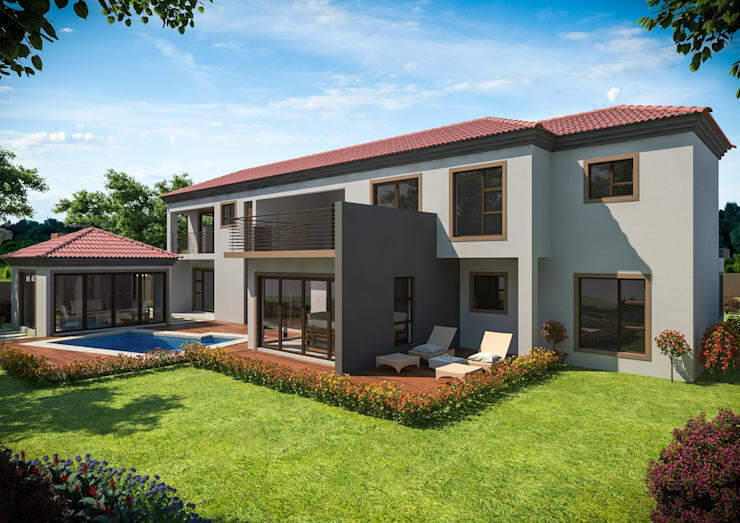 Architectural firm Clearviz Designs from Kempton Park brings us our latest homify 360° discovery: a family home in Edenvale that, thanks to some clever designs and out-of-the-box thinking, presents some major alterations, both inside and out. But, as usual, we’ll be combining our running commentary with first-class imagery, so let’s get started! 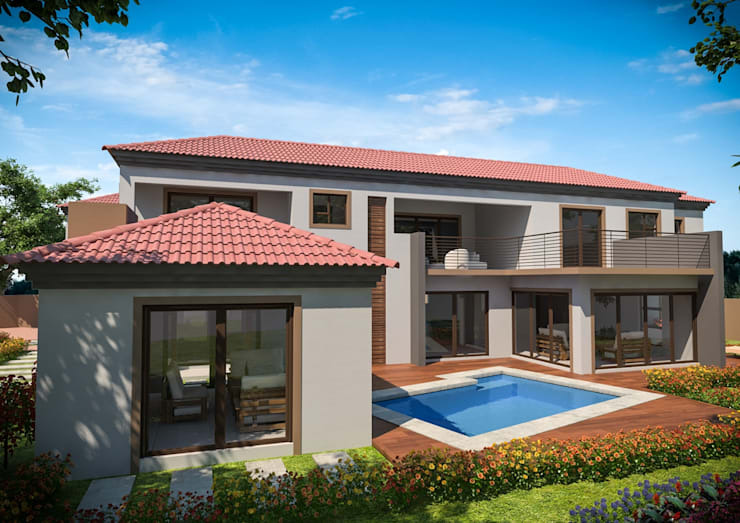 Although we are not sure what the house used to look like, these expert 3D renderings are all we require to appreciate the house’s new design. To make visiting guests go “wow”, the front entry underwent a complete remodel. In addition, a new first-floor was added to create a master bedroom (complete with full en-suite bathroom and dressing area). A second bedroom with a smaller en-suite bathroom was also designed. This renovation upgraded the entire structure, and it can even be seen from the house’s side / street view, even though a sturdy-looking privacy wall neatly surrounds the property. Now we get to the fun part: the back yard which flaunts the entertainment areas. 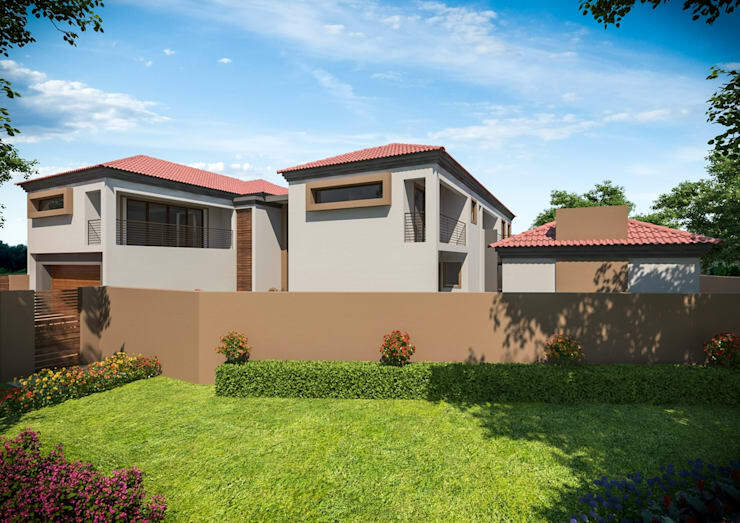 On the existing section, an efficient use of space was implemented to better connect the house with the major socialising zones. 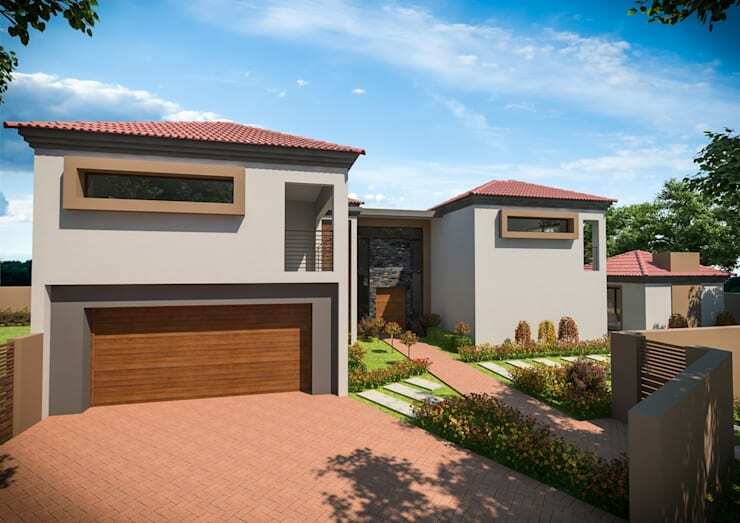 An additional braai area with lounge was also added, superbly enhancing this house’s social ambience. In addition, some expert landscaping and timber deck touches round off the upgraded look. But that’s still not all, for in addition to all of the above, a shared family lounge and home gym is also part and parcel of this striking home upgrade! As they say: go big or go home! Next up for your viewing pleasure: The inspiring Cape Town home.